I like to think I'm a healthy eater. Yes, I like meat. I like the occasional box of mac 'n' cheese. I like Doritos. Still, I cook at home most nights, we rarely eat out, and in general we do pretty well in the food department. Lots of fresh veggies and chicken and such things like that. But I've learned that there are a few things I should never allow myself to purchase, because I have absolutely zero self-control. I like to think I do, but then I buy them and they're gone within a few days. It's like I come home with my bags of groceries, and suddenly I become unable to control my arm. It reaches out, opens the top, and then grabs a handful and brings it to my mouth. I didn't do anything! In fact, I was standing there telling it to stop, but my arm wouldn't listen. Meanwhile, Jordan doesn't seem to have this problem and simply shakes his head in shame while I stuff my face. I've talked about my obsession with this ice cream too many times on this blog, but it needs to be stated again. THIS IS THE BEST ICE CREAM EVER. I seriously have to limit myself to only buying this never. I think, "I'm fine. It's fine. I can just eat a little at a time." Lies! What I do is eat six small bowls a day, which equals like two giant bowls, but in my head I feel like I'm just eating a tiny scoop at a time. Three days later, the entire half gallon is gone, and Jordan's like, "Um, I didn't get any." And I'm like, "You snooze you lose!" Then I run away while spouting maniacal laughter from the ice cream-induced haze that has overtaken me. These pretzels are so. freaking. good. I bought some last week and ate the entire bag by myself in a few days. Jordan didn't get any because I refused to share. Right now you might be thinking, "Okay, that's not so bad for you." But when you're eating an entire bag with a serving size of 17 in just a few days? It's probably not the best. Especially considering the ridiculous sodium count. I try not to think about it. I buy the 2.5-pound bag and straight up eat these out of the bag by the handful. The worst part is that I'm like an addict with them. Jordan will walk into the kitchen and be all, "So whaddya doin'?" And I'm all, "Nothing go away. It's cool. I'm just standing here next to the fridge for no reason." But there's chocolate smeared around my lips and on the palms of my hands where it's slowly melting as I hold a handful behind my back. Because apparently I'm five years old. Unfortunately, hips don't lie as well as I do. Let's just say I go through a lot of peanut butter. A lot. Crunchy, obviously. I even go so far as to buy extra crunchy because, well duh. Extra crunchy = extra goodness. Creamy peanut butter is for suckers. Sometimes I even sprinkle some chocolate chips onto my spoonful of peanut butter. But we're going to forget that last sentence ever happened. You know what? Lucky Charms really ARE magically delicious. And Jordan doesn't like them, so that just means more for me! Plus, see that big check mark on the top of the box? That means it's made with whole grain, so it's good for me. Booya. *Honorable mention: Chocolate chip cookies, both the dough and cookie itself. (See photo at the top of this post.) Knowing how to bake delicious cookies is both a blessing and a curse. I never realized until I got older how much my mother sacrificed by giving me the batters to lick. This is partly why we're still waiting to have kids. Okay, your turn to spill. Make me feel better! What foods can you not resist? Oh, I definitely have those foods that I will eat without restraint. None of these, though. 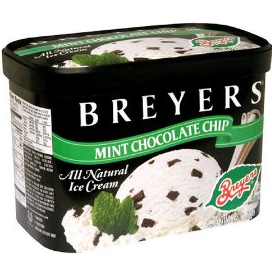 I like mint chip ice cream, and Breyer's is good...but for some reason I'm never really motivated to eat it. I could let it sit in the freezer for months. I won't let myself buy: potato chips and french onion dip--because I will eat it like a maniac and not share it with Angel. I also can't make this apple dip which is made of cream cheese, brown sugar, and vanilla. Honey, peanut butter, chocolate chips. Best combo ever. You can add banana in there if you feel like pretending it's healthy. Oh goodness. Zero self control on nutella, nutty bars (its never good when we buy bread at walmart because we end up walking past the nutty bars). I just don't even buy kiwis anymore because I will eat them all (no matter how many) within 48 hours, and usually I eat them so frequently the acid makes my throat hurt. Its kind of sad. I'm sure there are other things I would go crazy on, just can't think of them. hahaha YES this is spot on. i am wit you on all of this. ice cream doesn't last long in our house. gah. i am the same way! i'll justify it to myself by eating multiple small servings in a day and then in 3 days it's gone. my husband is pretty sneaky too though! once we got this box of "happy hippos" (they're a german chocolate candy) and i told him not to eat them all. well we'd both just eaten one and were sitting on the couch. i was reading so he went into the kitchen then when he came back i looked up and he had a sprinkle from the hippo on this lip and didn't know - so i caught him! i laughed so hard that he was trying to hide the fact that he was eating more! but we both pretty much act like we're 5 years old! I was thinking the exact same thing this week, when I realized I was half way through a 'family size' bag of chips...in the car...on the way home from the store. Who am I kidding? I might not have even been out of the parking lot. Terrible. I will allow my children Lucky Charms only on/around Saint Patrick's day, simply because I inhale them. And you should try milk chocolate chips instead of semi sweet, so much better out of the bag. Can't stop myself. 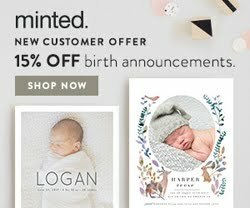 I can't buy the Heath bits either because I'll just wolf them down. At least you do all that running! And your tall! Cinnamon squares: I eat them by the bowl-full. 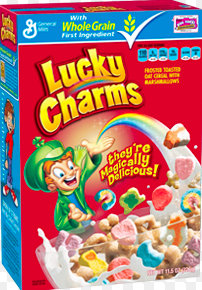 Same as with the Lucky Charms, they are whole grain=healthy. 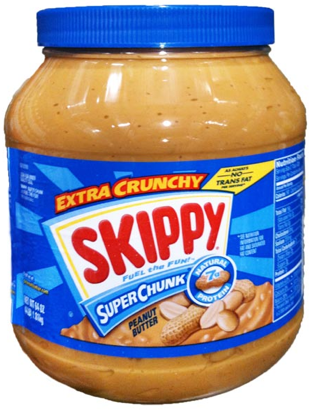 Peanut butter, but the smooth one, thankyouverymuch. But the worst offender? Nutella. I stopped buying it years ago, because I always ate it in such an embarrassingly short amount of time (2 days say whaatt??) that I was ashamed of myself. Nutella is an evil vixen. Yes! I literally cannot buy mac & cheese at the store because I have absolutely no self control. And then I get so sad when I look in the pantry and it's not there for dinner! Oooh I am RIGHT there with you on the chocolate chip morsels. I love the marshmallow part of Lucky Charms, but not the cereal part. But I do love Frosted Flakes, and will eat them for breakfast, afternoon snack, after-dinner snack … etc. Nutella is my other major weakness. I just can't stop eating that stuff straight out of the jar. But really, anything with sugar, if it is placed in front of me, will be demolished in about half a second. No self-control. This is why I don't bring sugar into the house (except Blue Bell ice cream every couple of weeks - also a weakness) and don't bake either. Crunchy peanut butter 4lyfe. I go through phases where I just don't eat PB for a while, and then suddenly I can't get enough of it. I currently can't get enough of it, and I've had a peanut butter sandwich for lunch every day for the last 2 weeks. No jelly though. Because that's gross. I also can't resist pizza. I don't know what it is. But it's like.. I want it all the time. When my roommate moved out, I set a rule that I was never allowed to order pizza. Ever. Because I would eat it all. In the last 4 years, I've only ordered it once, unless Michael was over to share with me. Ice cream. I'm a sucker for any ice cream. Or anything with ice cream in it (hi, Neapolitan ice cream sandwiches). And a cheese dip that my mom makes, which happens to pair amazingly well with the pretzel crisps you mentioned. I'm sensing a theme here: dairy. Just anything with dairy. Graham crackers with cashew butter. It's actually impressive how fast I went through that tiny (and expensive) jar. I don't have too much sugar anymore because I have this problem too, but I can't control myself around pizza. I will INHALE that stuff. Always and forever. I am a a big fan of "grazing", so really....any type of snack food that can be left on the counter (chips, chocolate chips, candy of any sort, popcorn, crackers) are my nemisis. Yesterday I had to cover the front desk for the receptionist for a bit, and she had a sleeve of saltines. I ate like 5 of them before I thought "What are you doing? These are nasty saltines. Why are you eating them!?!" chocolate chip cookies! Every time. That's why I'm only making 'a batch a quarter'. I asked Dave if he really understands what happens when I bake cookies. I taste test the beginning of the dough, the middle process and then I have to make sure the dough is good so I eat about 3-4 spoons before I put the cookies in the oven. I then taste test the cookies that came out and I just gotta taste test the batter 1 more time. I put the second batch in and repeat the taste testing. After they are all cooked I put 4 cookies on a plate and sit by Dave. Two for me, two for him. He really is getting the terrible end of the deal. He asked me one time how many I eat back in the kitchen and I confessed to probably 10! eeeek! I don't even buy ice cream. That would just be bad bad news. PB! No way jose! I'd rather eat bacon. The only kind of peanut butter I eat by the spoonful is Justin's Hazelnut chocolate PB. I'm a rare exception when it comes to love of PB. For me it's hickory sticks. I love them! I have no will power so our house used to be free of anything yummy or if I did buy something that was too good to resist, hubby would have to put it in the cupboard above the fridge. I can't reach that cupboard even when I'm on a chair so it was safe. Now that I can't eat anything good (no gluten or dairy) there's a lot of junk in our house for my husband. I am the worst with cookie dough! The other day, I made s'mores cookies and ate at least 4 cookies worth in the process. I didn't even eat any that were baked because I was so over it by the time I was finished the dough, haha. I basically can't keep any cookies, candy, or ice cream in the house because I also have no self control. My husband can buy a chocolate bar and eat it slowly over weeks. I think he's insane, because if there is chocolate in front of me, it's going to be consumed... quickly. Before it gets away. Chocolate can be sneaky like that. PS: I've been known to just eat PB straight out of the jar... and then pretend like it never happened. This may or may not also occur with chocolate syrup by the spoonful. You didn't hear it from me. OMG! Swap the Lucky Charms for cinnamon toast crunch and we'd have the EXACT same list! You actually made me laugh out loud. At work. Troublemaker! As for me...so, I wouldn't want this to get out or anything, but those little Cadbury eggs? With the magical sugar shells that surround delicious creamy chocolate? I bought a bag Monday, and in two days they were all gone. I'd like to say my husband ate them all because he's normally the culprit of devouring all the sugar in the house....but that would make me a liar. I might have begrudgingly shared a handful, but otherwise I hoarded those eggs right near my face and would growl if he came too close. I might need some help....But don't tell anyone, k? Man, it's a been a while since I've had those goldfish...must remedy. I love watermelon too. And Jordan doesn't like it, so I basically eat an entire one by myself in a day or two. But I think watermelon is basically just water, so it's not that bad! I do the same thing with those pretzels. The Everything pretzels are delish!!! The two food items that come to mind are oreos and crunchy cheetos. Oh, heavens, those babies are good. I could put away a whole sleeve of oreos by myself in one sitting. It's true. Can't resist Easter Cadbury Eggs... they're disappearing now - THANK GOD! Lucky charms... yes, yes, and yes! Is it a problem that I specifically only eat the marshmallows (in addition to eating the whole box in a short amount of time)? Bad news bears, lol. Ok, we get it. You can stop proving to me we're the same person. Add Oreo's to my list. I can polish off an entire package with 24 hours. Not even kidding. We are like junk food soul mates! All of these would totally be on my list for the same reasons! I felt like I could have written this post. I'm so glad you admitted this, especially being a runner. I'm like I should have some control-I'm like a healthy-ish, active person...but no, I can't allow this stuff into the kitchen or it's completely gone within 2-3 days. I do the same thing with chocolate chips - except with dark chocolate - I rationalize that it's healthy to eat handfuls of chocolate chips because it's dark. I told myself I was going to give up peanut butter and do almond butter or something in its place.....then I went to Costco and got a vat of it. No self control. I love it. That, and cookie butter. LOL! I do the exact same thing with chocolate chips. Hilarious. My biggest no-no's are chips and popcorn. I'll clear out a bag of sour cream and onion or spicy nacho doritos in like two days. Shameful. Movie theater microwave popcorn? See ya in 15 minutes. Seriously. SO bad. 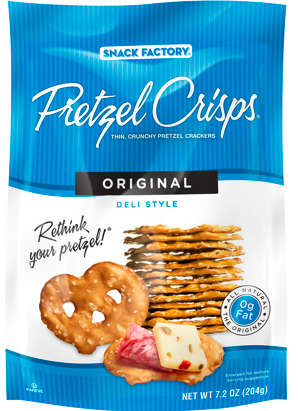 Those Pretzel Crisps are amazing! My favorite thing to eat hummus with! Also, my guilty pleasures- Fig Newtons and Pringles. I never buy them because I can literally eat a package in one sitting- it's sick! I was eating my weight in rice krispies treats last night! And I can easily down any sweet treat we have in our house. I've recently found those Pretzel chips! Tyler was surprised I hadn't eaten them all yet. Try the garlic parmesan! They are amazing! Oreos. I will eat my weight in Oreos and not even blink an eye. 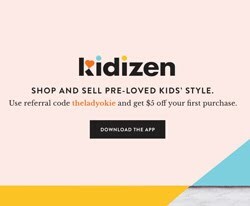 I can't buy them, I will hoard them in the back of the pantry and lie to my 3 year old and husband that we have them and then sneak them every 20 minutes or so until I hear them coming back into the kitchen when I have to shove them away again. Also, Velveeta Shells & Cheese, I will eat the whole box before we even put it on the dinner table. And girl, yes, creamy PB is for lamewhores. Crunchy all the way! I'm with you on the last three. 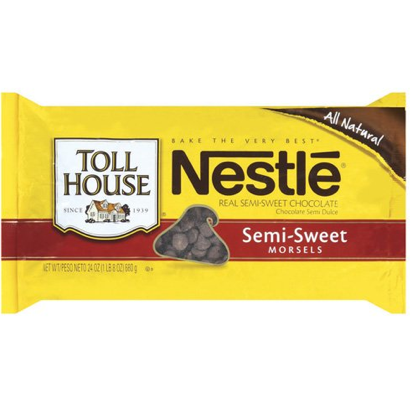 Tollhouse Chocolate Chips are my Kryptonite. And I have been known to go to town on the PB and cover it up with, "I'm just testing it for when I make Thai peanut sauce." And eating way too much peanut butter when I get around to making Thai peanut sauce. Also, I've been known to make toast with peanut butter, honey and chocolate chips. DO IT! You'll thank me. Three more I can't resist? Cheez-its (it's embarrassing), Nutella, and sweettarts! Mint Chocolate Chip ice cream, yes, definitely a weakness for me also. But since I'm a Texan at heart, it has to be Blue Bell. But I'll also take a Braum's Mint Chocolate Chip shake any day of the week. Or any time of the day. Another big one for me is Goldfish crackers and Cheese Its, which unfortunately we have in our house a lot because I have children. I try to not buy them sometimes because I know I'll eat twice as many as the kids, and then they are crying, "Where's the Goldfish??" And, um, hello, peanut butter is like super healthy for you. Especially if you get the kind infused with Omega-3 oils. Right? Right? Yes! I looooove goldfish. Especially the pretzel goldfish. Those are so good. Ohmygosh I LOVE mint chocolate chip ice cream!!!! I never buy it, because I will eat it every night, and sometimes add an afternoon snack to that. In fact, I only buy ice cream I don't like for that reason. I could add pretzels too, any kind. and olive pimento spread too. yummm. I need to restock my cupboards. I am the same way with peanut butter, it never lasts longer than a week. oh that ice cream looks devine. funnily enough, i can buy a tub of ice cream and it can last weeks. but apple juice? won't even last an hour. i'm not allowed to buy that. or ruffles original chips with lays ranch dip. they are my baddies. ha! Batter monster. That's me too. It's a serious problem. Ha ha ha! You just described my life. I have a special "tiny" bowl specifically for ice cream. In fact, it is so tiny that I don't count it as full unless the ice cream is twice as tall as the bowl. But then, just to be safe, I only allow myself 2 refills...or maybe 3. This counts as portion control, right? Story of my life about the cookie dough thing... Haha! i loved that! I am a sucker for Tim Tams (the most delicious cookies you have to try when you come to NZ), doritos, yes, ice cream... Oh there is so much more, I am impressed you only have 5!!! Too funny! I have this problem with M&Ms...well, pretty much any candy. I'm not satisfied till it's gone! Admitting our problems is the first step, right??? 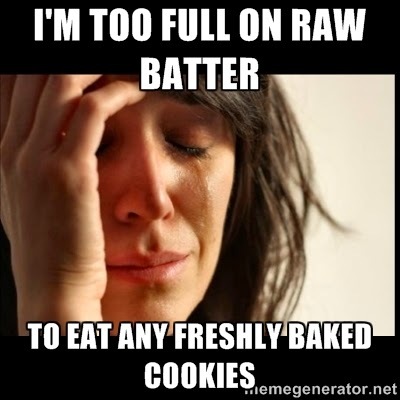 It is soooo unfair that batter is so filling - how am I supposed to eat the fresh cookies??? 1) Any goodies that I have bought for "cheat days" that I feel I can withhold from. I can't withhold. My mouth wants it. My brain wants it. I just can't stop. 2) Breyer's 1/2 fat mocha ice cream. It's healthier because it's 1/2 fat, right? RIGHT!? 3) Chocolate chips. They are my go-to emotional eating machine. I can make an impressive dent in a 2kg bag of dark chocolate chips. 4) Anything sugary that is open. Because, you know, if it's open, that means it might go bad and/or stale. 5) Cheese. Period. This has no restriction, but I'm especially susceptible to limburger, esrom, tilsit, camembert, fontina, oka, brie, and extra old cheddar. Low-fat cheese is against Canada's religion, apparently, so that's out of the cards. 6) Ruffles coconut fingers. 'Nuff said. I love cheese! So with you on that one. I feel bad for people who are allergic to dairy. They're missing out! Haha! I love it! Cookie dough is bad news! I remember my Grandma used to tell me that it's SO bad for you to eat the dough because it's raw eggs. Looks like I survived just fine! Ha! 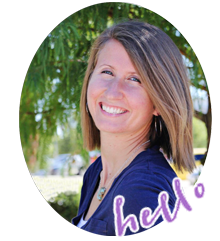 I find that I don't buy ice cream, chips/crackers/cookies, or cheese as often as my husband would like! But if you don't buy it, you won't eat it! I have a hard time controlling myself when it comes to ice cream or cheese! Soooo yummy! I actually don't buy cookie dough anymore because I use to eat so much that I ended up gaining a ton of weight. oops. Yep. Basically anything that is salty or sweet. I really should only ever shop in the produce section, because I honestly have no self control when it comes to snacks. I had a huge breakthrough after Easter though! I actually THREW AWAY a bag of miniature reese's when things started getting out of hand. I was simultaneously disappointed and proud.